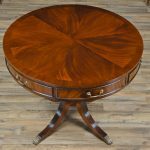 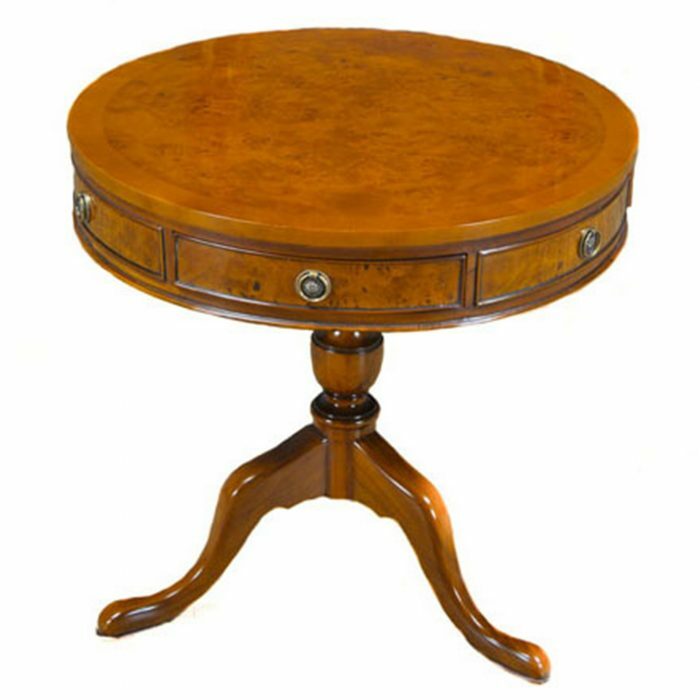 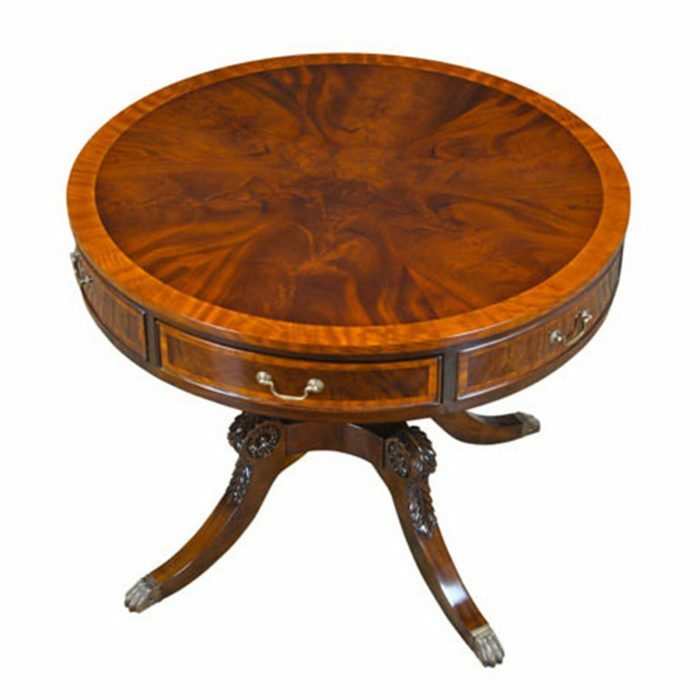 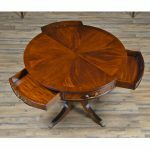 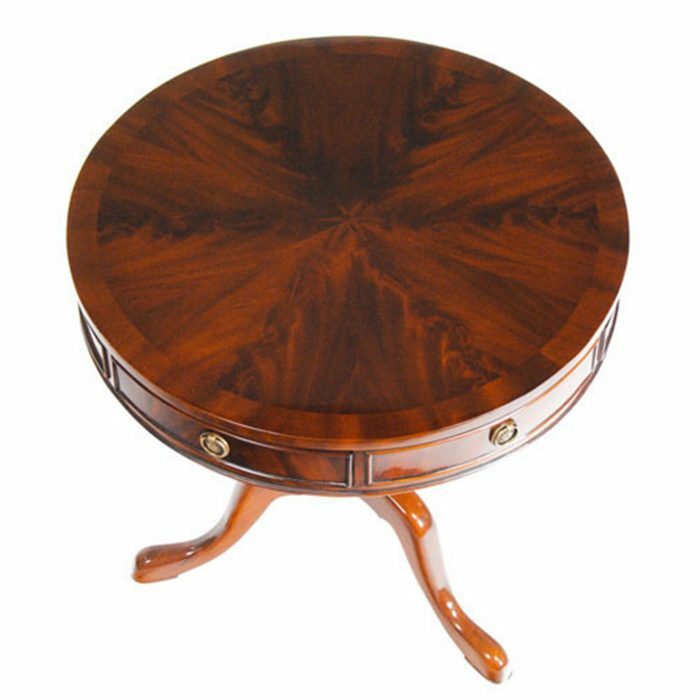 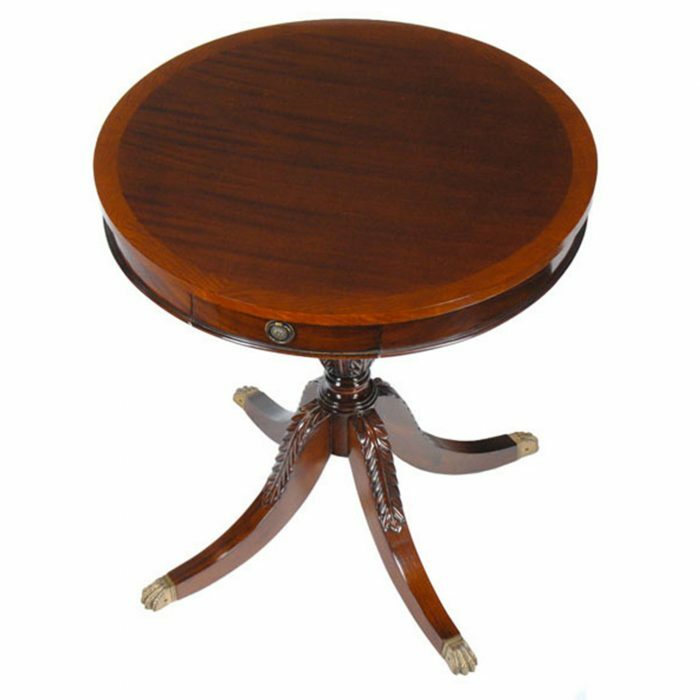 This Large Drum Table from Niagara Furniture was inspired by large rent tables used in England in the 18th Century to help organize large estates. 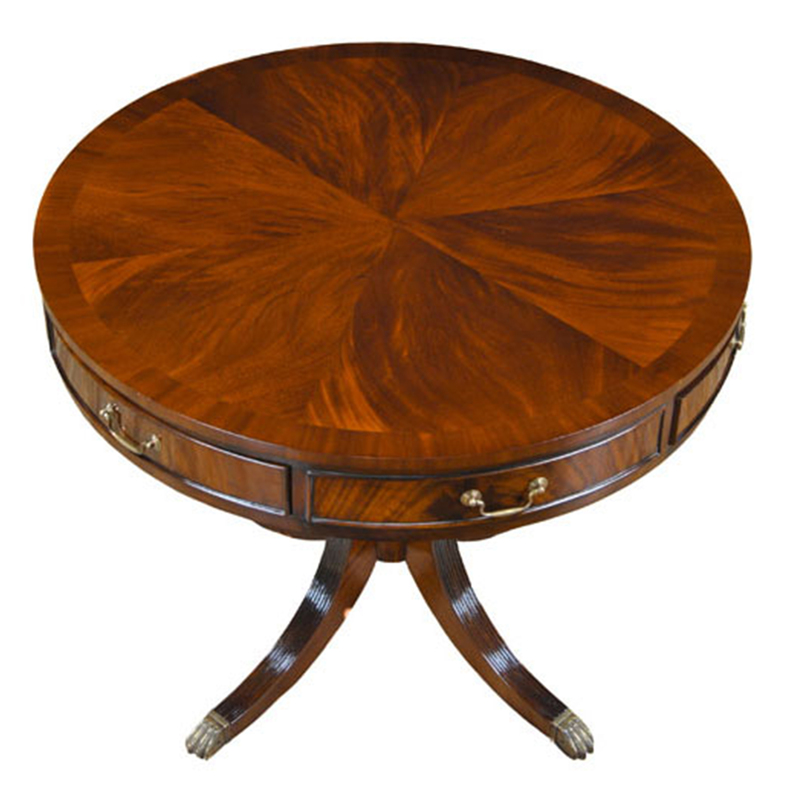 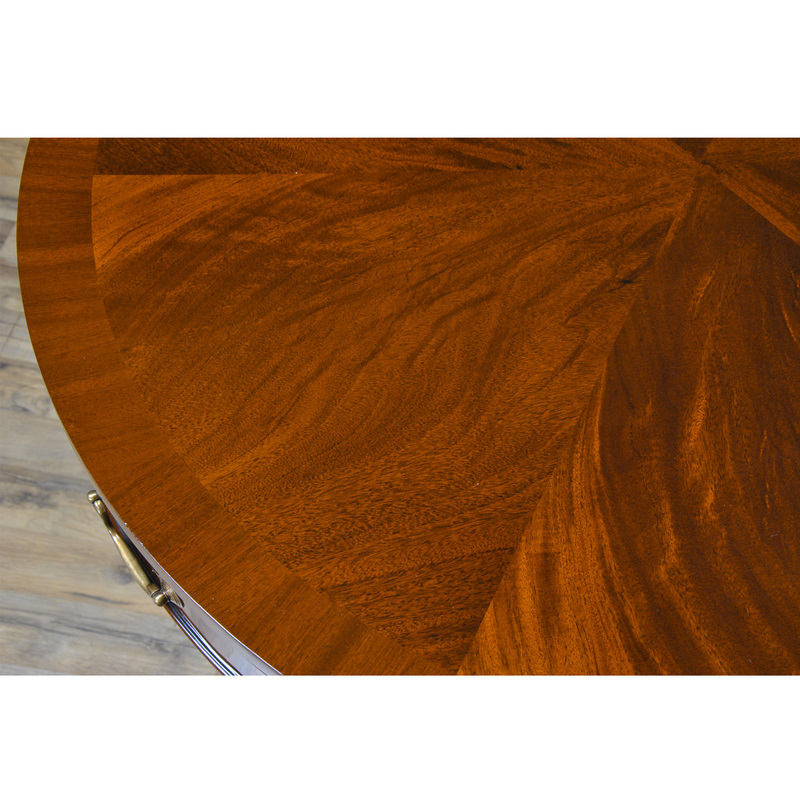 This form of Large Drum Table has translated well into modern living. 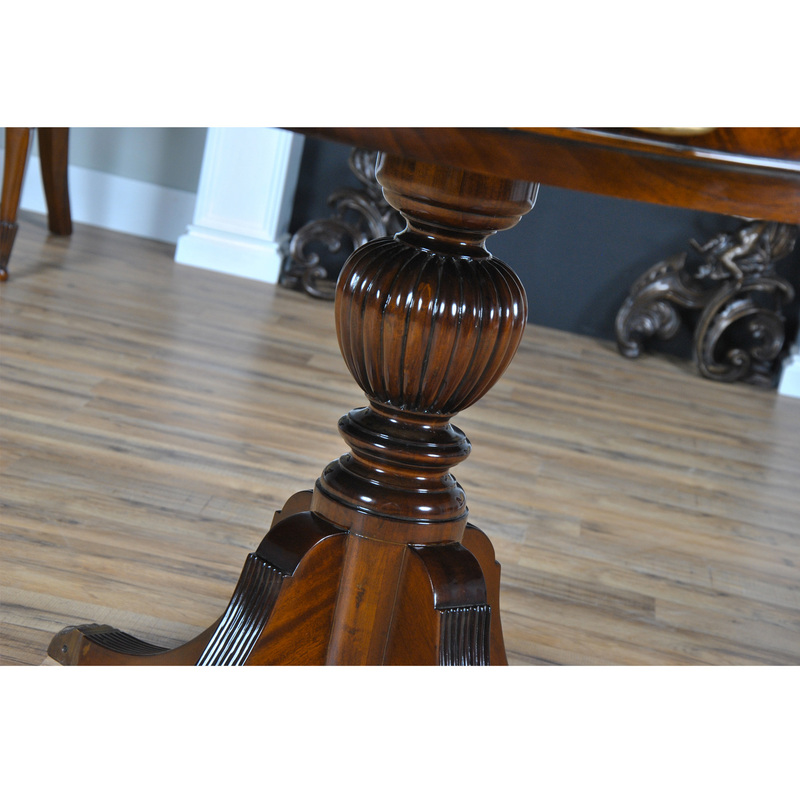 Primarily used in large entry ways but also popular in living rooms, home offices and breakfast nooks this item has continued to be one of our best sellers for many years. 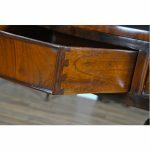 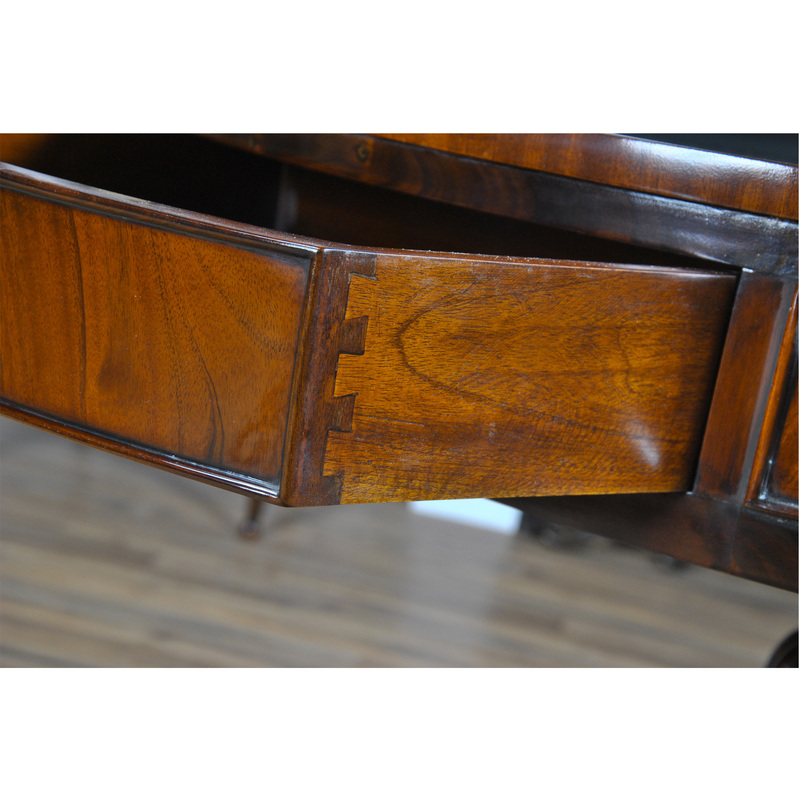 The beautiful pie shaped and banded top is supported on a large, deep frame which holds three dovetailed drawers. 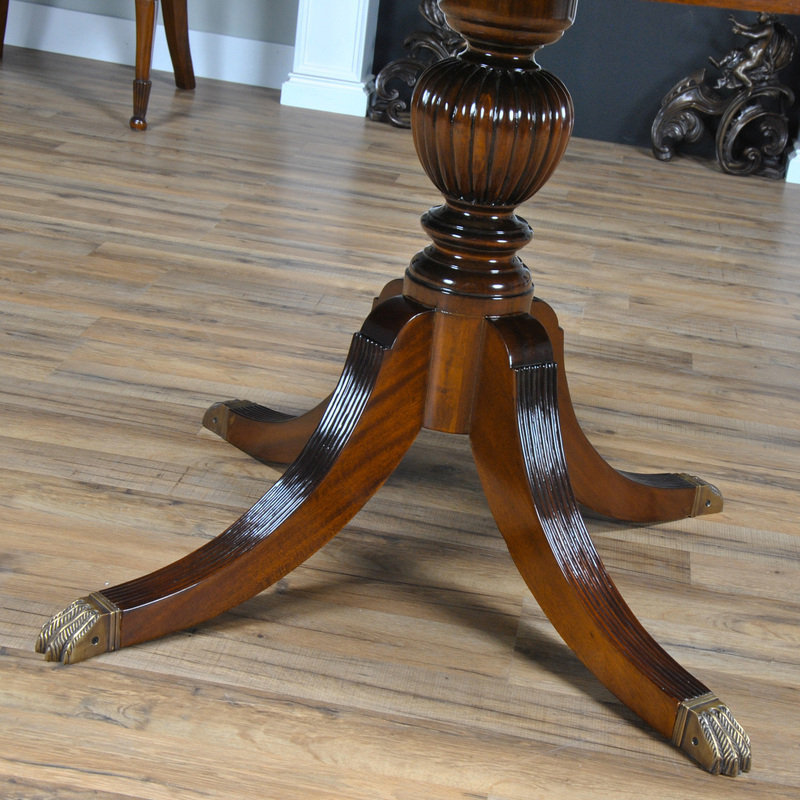 The generous reeded column is supported by four high quality shaped and reeded solid mahogany legs ending in solid brass feet.